Nominated for a whopping 13 César Awards, including Best Film, this stylish comic caper is a breathless, whimsical wild ride through Jazz Age Paris. 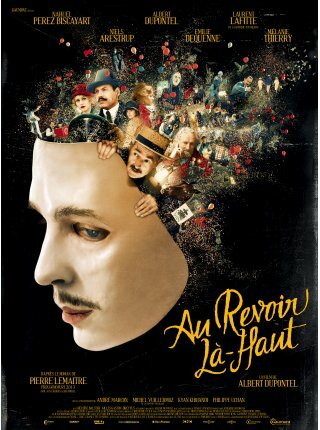 After an accident in the trenches leaves him disfigured, ex-World War I infantryman and artist Edouard (BPM star Nahuel Perez Biscayart) takes to opium and creating outrageously stylized masks to hide his scarred face. Along with a fellow former soldier (director Albert Dupontel), he hatches an audacious get-rich-quick scheme: designing and collecting on war monuments, then absconding with the money before building them. What ensues is a dizzying adventure bursting with elaborately staged set-pieces and spectacularly surreal costume design.